Pastel colors are usually popular in the spring, with bolder colors taking centre stage in the summer. This summer though, pastel colors have been making a huge impact in the fashion world. Pastels are right on trend in the breeziest, most summer-ready clothes & accessories. My favorite of these pieces is most definitely the off the shoulder blue wrap dress. What a gorgeous item! I love dresses in the summer as I always think of them as ‘outfits in one‘. It’s the lazy girl’s tool for being fashionable without having to put in a lot of effort! If you follow along on instagram and twitter you’ll know that I took a 4 day weekend this past weekend to head up to Kelowna for a mini-vacation. Today is therefore my first day back for this work week! Starting on a Wednesday definitely feels odd, but I am determined to get a ton done today after having such a relaxing and fun couple of days. Hope you all have a great day ahead of you! 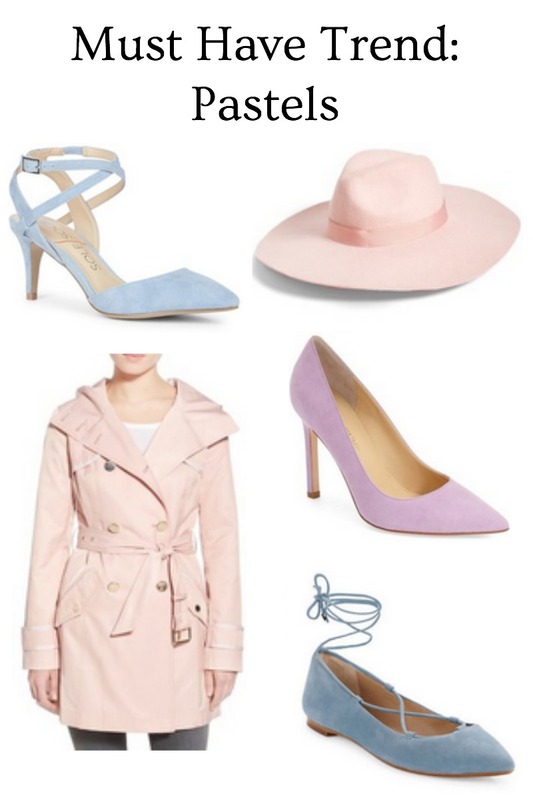 "Where to Shop to Build Your Work Day Wardrobe"
"A Day at the Races"
I'm so sad that they're sold out of the blue ghillie flats in my size:( Great round-up! Aw that is the WORST! I had that happen to me with a pair of boots I wanted from the NSale, so frustrating! I don't own much pastels in my closet besides blush. I love those blue heels. Blush is hands down my favorite pastel! But I am really loving pale purple this season as well!